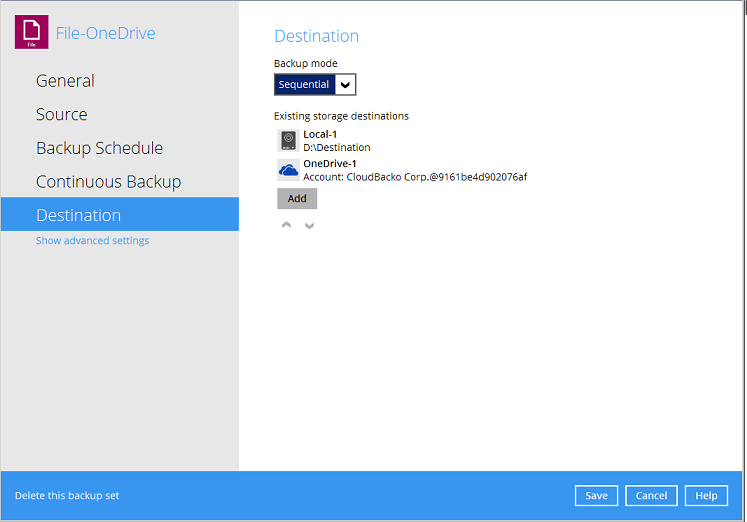 When performing a restore on AhsayOBM/AhsayACB the following error is shown after selecting OneDrive or OneDrive for Business backup destination "[OneDriveManager.getAppName] Invalid sClientid: null" . 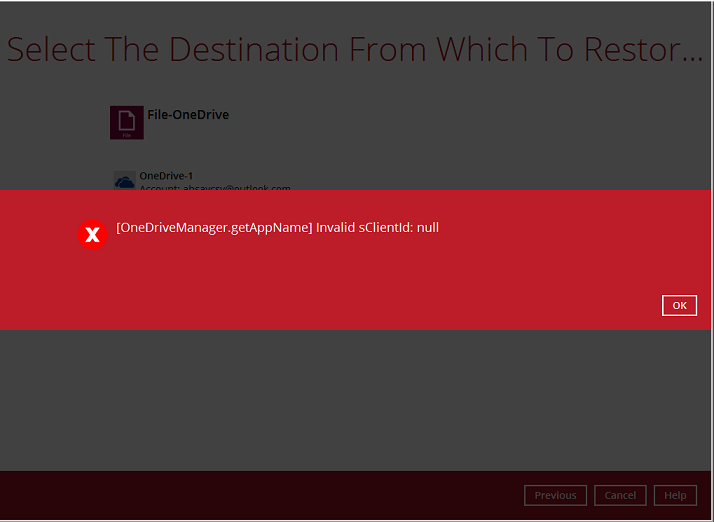 The OneDrive authentication token has expired. 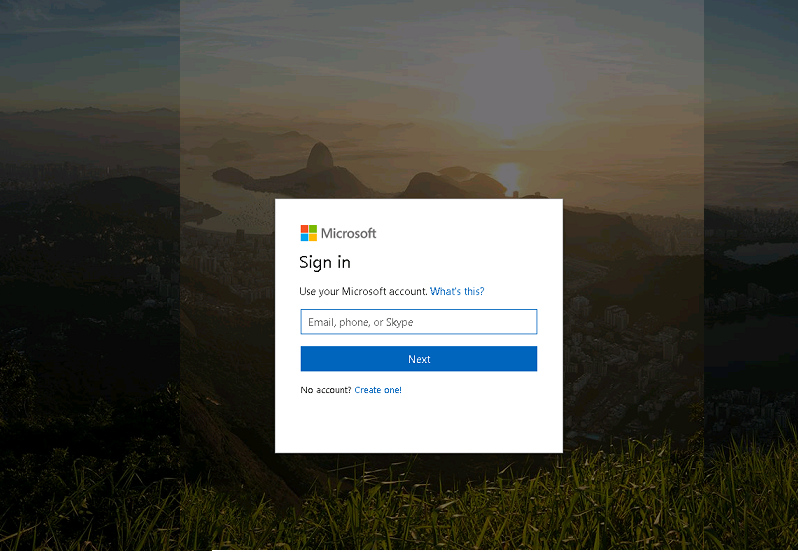 This could be caused by long periods without regular use, i.e. 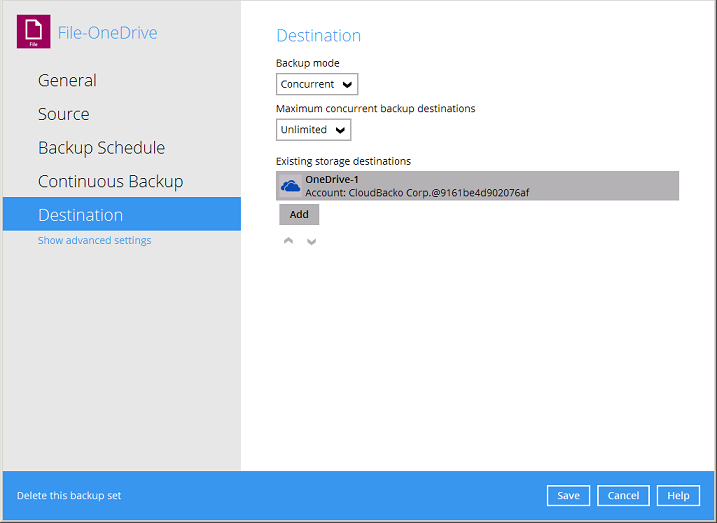 no regular backups or restore from the backup destination. 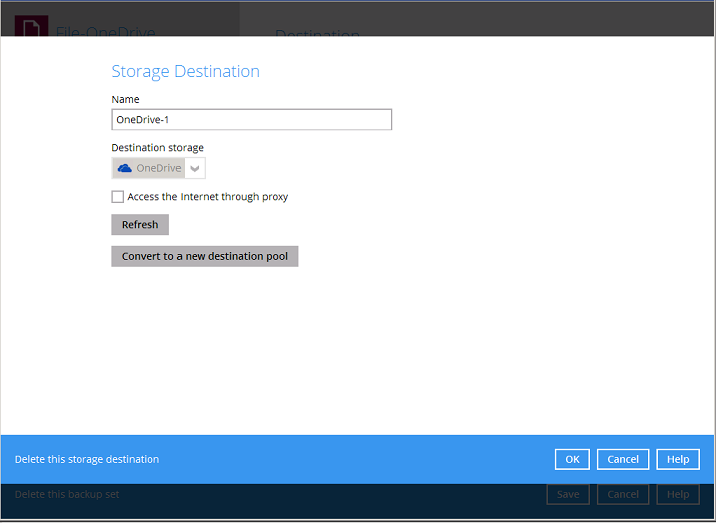 Click on the OneDrive Destination. 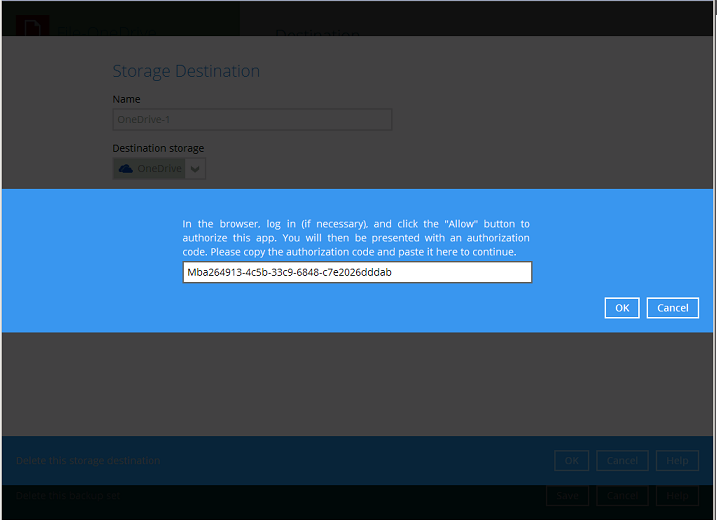 A web browser session will be launched. 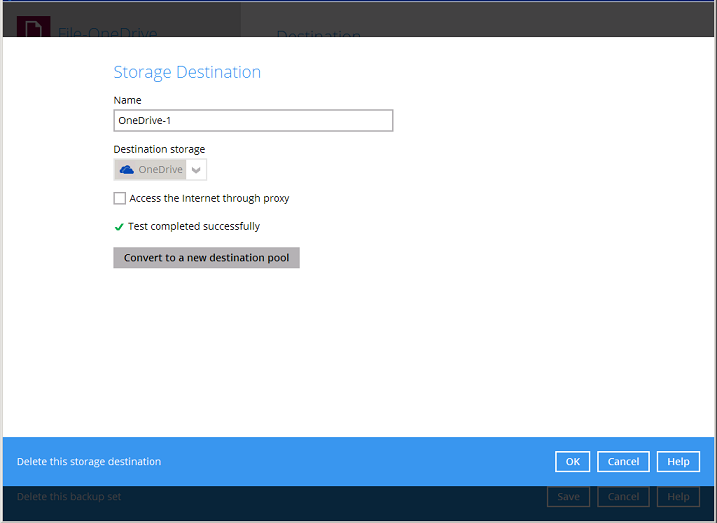 Enter the OneDrive login credentials. 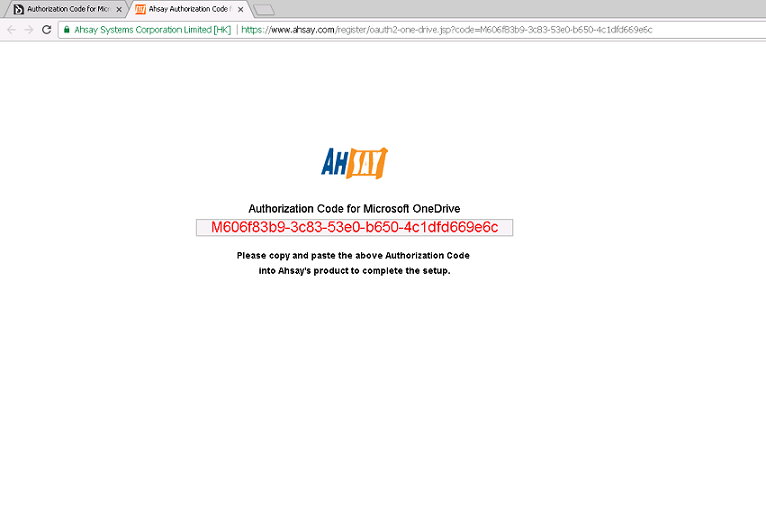 Copy the authorization code for OneDrive.